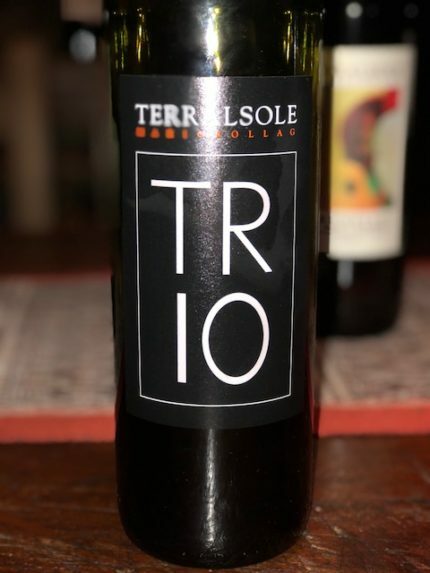 Finding Terralsole is quite the journey. But trust me, once you do the journey is worth every missed navigation point on whatever GPS you use, so just chill. The winery will find a special place in your heart and you’ll never forget the experience, the wine or the people. The tapestry of Terralsole, which translates as “The Land Toward the Sun,” is just part of the Tuscany magic. 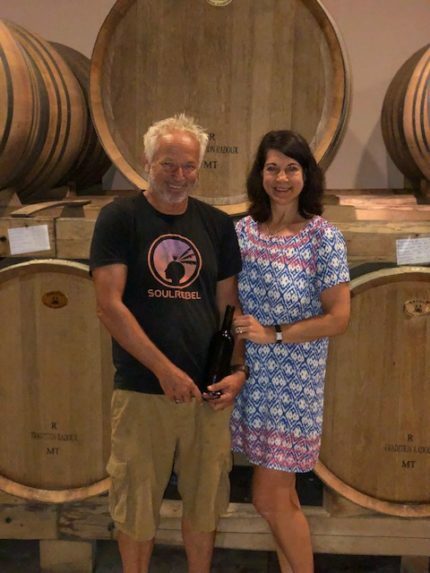 The winery was established in 1996 and is owned by Winemaker Mario Bollag and his talented Musician Wife, Athena Tergis. If you are lucky, you’ll get to meet their two adorable daughters, and hang out with the family. 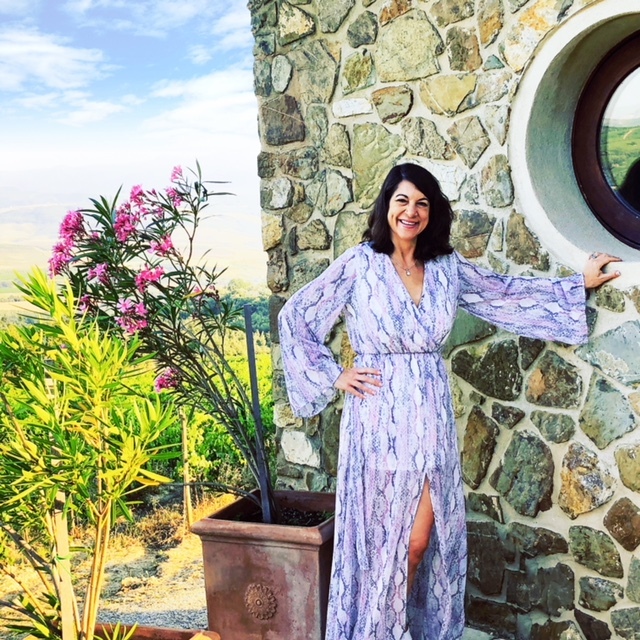 We had a chance to rent the lovely winery guesthouse during our stay in Montalcino, which served as our home base. I had been working with Athena on those arrangements, but she was playing at the United Nations during our stay. She’s a world-renown musician and tours with her musical group, The Green Fields of America, and as a soloist with the Dublin Philharmonic Orchestra. In her spare time, she works with Mario at the winery. Check out her awesomeness here: www.athena.cd. We had a chance to get to know Mario and the girls, especially my husband who was “commanded” to play princess with their adorable 5-year-old. Mario has never met a stranger. He told me his story about growing up as the son of a Swiss lawyer in Basel. He was supposed to follow in his father’s footsteps, but he kept returning to how much he enjoyed his early years in art school in Florence. 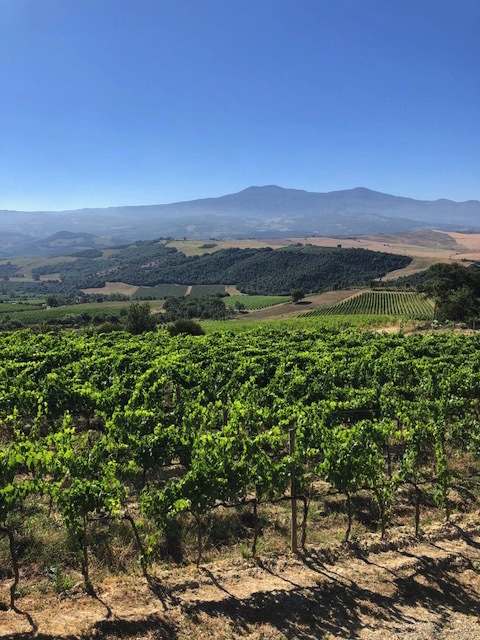 This passion, a love for Tuscany combined with a love for nature, the outdoors and wine became a long-time dream to return to Italy, which was not immediately realized. Instead, he left law school and decided to become a ski instructor in California, and then became a pilot taking the fastest course to gaining his pilot hours – flying Cargo for Haiti Air Inter. 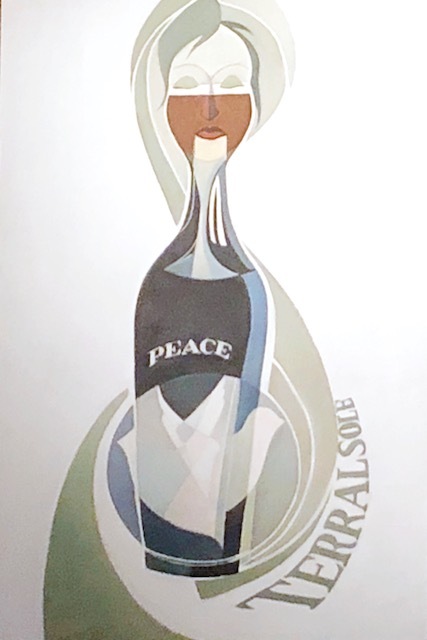 His artist background and the talented Haitian artist world collided and now you can see four of those master artists featured on his wine labels. After the birth of his first son, Mario decided it was time to grow up and moved back to San Francisco to start a Tour and Travel business. He was successful, but the lure of Tuscany remained. 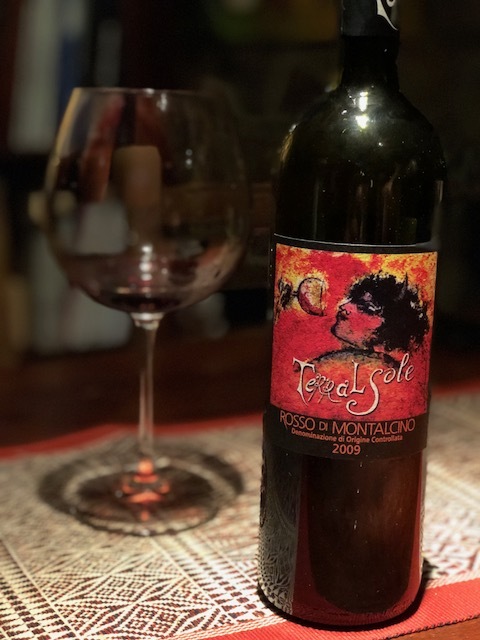 He bought an old farmhouse in Montalcino and while working as an artist and drinking a lot of Brunello, he decided he wanted to explore winemaking. He learned as much as he could from local Italian winemakers. “I was interesting,” he said. “I was a bit like an unusual colored bird and they welcomed me.” That journey took him back to school in Bordeaux and at UC Davis and then ultimately the beginning of his first winery, Il Palazzone. 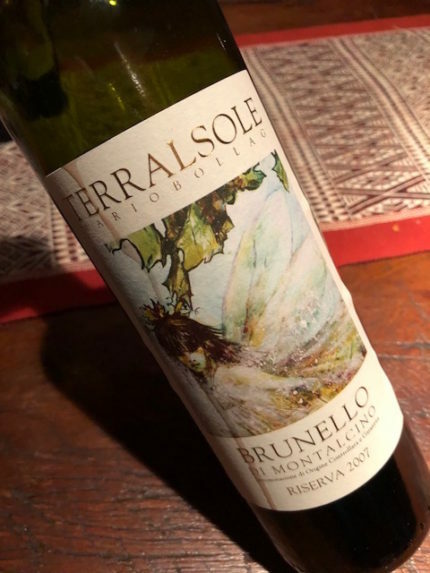 And, in 1996 he broke ground on Terralsole, which combines fine wine and winemaking with his love for painting and music. Like an artist, Mario takes his time with his art, which is now focused on winemaking. 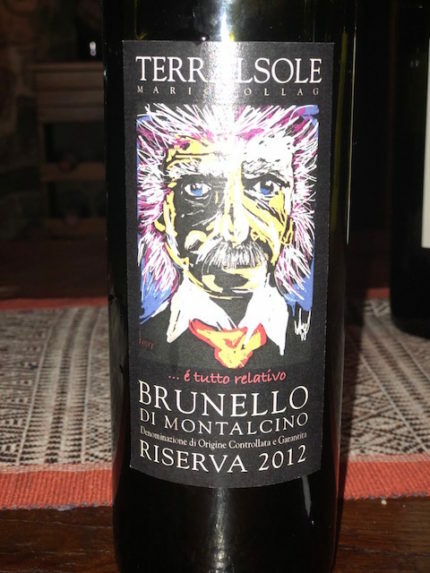 It took ten years for the winery to sell its first bottle of wine and that is a philosophy that Mario takes to heart. As we walked through his barrel room, production facility, cellars, tasting room and later his inventory room, which ironically is built underneath his villa and pool, I was struck how long he held back his inventory (an average of ten years) because he believes his wines deserve more time in the barrel and bottle before he wants consumers to be able to drink them vs. having to cellar them for years. Terralsole is known for elegant, powerful and award-winning Brunellio di Montalcino’s, but Mario plays like an artist with different styles and techniques – making Super Tuscans, Merlots and IGTs. The wines are farmed sustainably and the vineyard was just classified this Spring as 100 percent organic and is hand harvested. 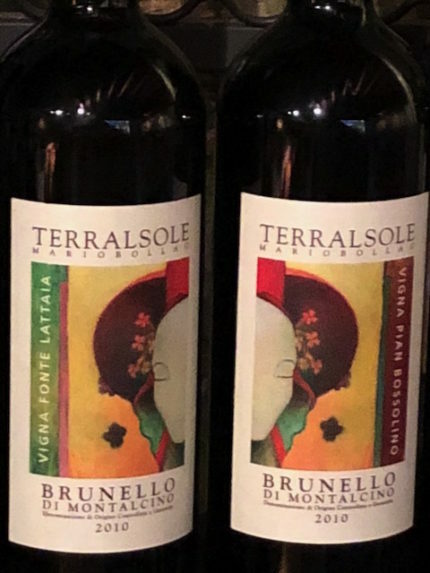 The Terralsole Villa and Cantina occupies 30 acres of the Pian Bossolino vineyards gorgeous countryside where every view looks like a Tuscan postcard. The soil is limestone and metamorphic. 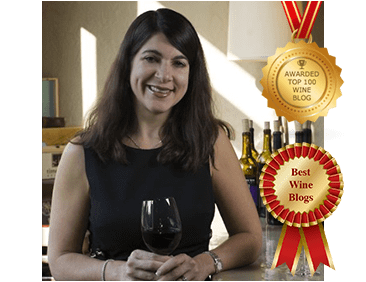 The winery is a mix of Old World tradition and New World winemaking. 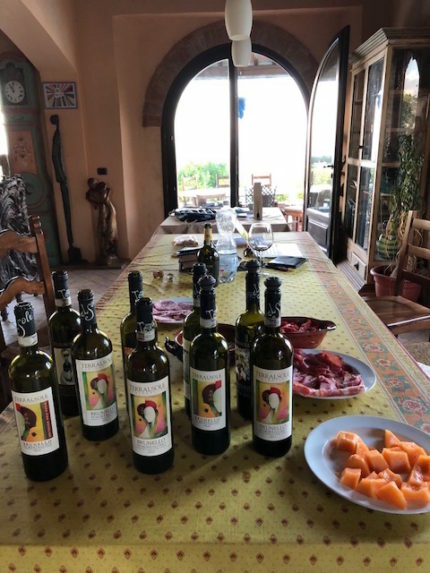 Our house was located near the Fonta Lattaia property, which is Southwestern of the vineyard, near the road that links the Romanesque Abey of Sant’Antimo and is a warmer climate. If you stay at the private house, make sure you know that is not onsite at the villa, but about 15 minutes away. Mario has never met a stranger. We tasted our first night there, but we didn’t get through all the wines he wanted to pour, so he asked us back. There were others staying in the guesthouse onsite and we found ourselves watching the World Cup while Mario cooked a simple Italian meal with fresh cheeses, vegetables from his garden and we continued to open wine. 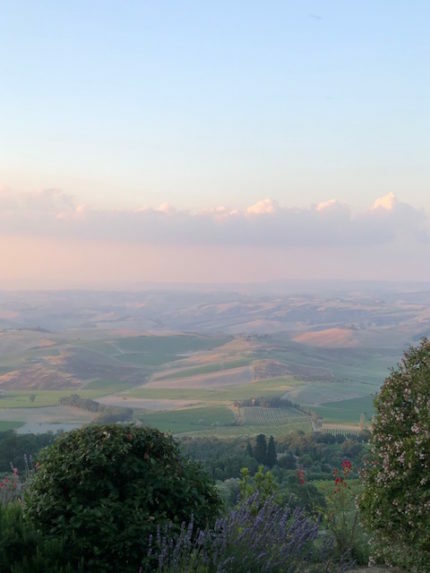 We ate on his patio overlooking an amazing Tuscan sky. A great night of food, fellowship and great wine. 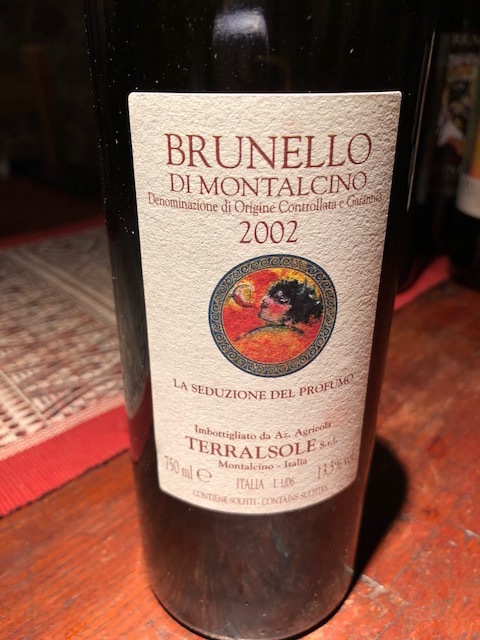 I do admit that when my husband and I went to place our wine order later that evening, we all had a bit of trouble calculating exactly what the final total would be. It’s a good thing that Mario has a solid business office behind him when having fun with friends. I also loved the story about how Mario and Athena met. Mario became friends with Athena’s aunt after a chance meeting in Mexico. She told Athena to come to Italy and visit her friend Mario. Athena was touring with Clarence Clemmons and the E. Street Band and while they had a great weekend, neither was up for a long-distance relationship with a musician on tour. During that first trip to Italy, he taught her how to ride a motorcycle. She caught the motorcycle bug and a high-speed chase with the California ensued landing Athena in jail. Mario flew from Italy to California to bail her out after that ride. That solidified that relationship and the couple later married. 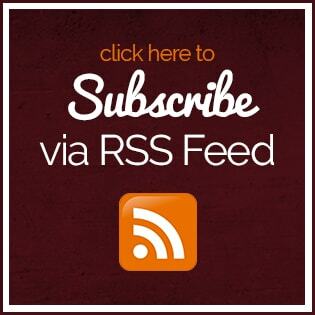 As my husband and I celebrated our 24th anniversary, I realized we really needed a better story than I could hold my own during quarter beer night at the Auburn Supper Club. 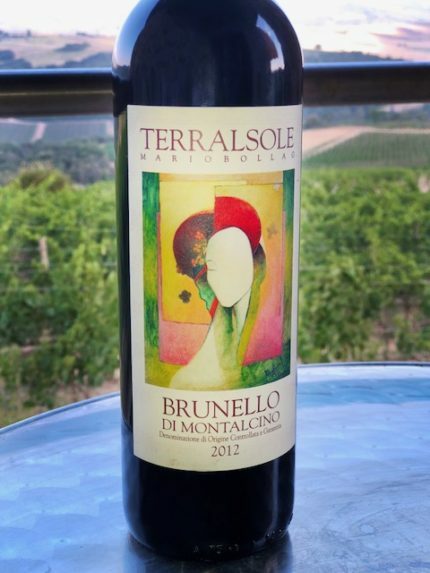 Terralsole is open to guests for tours and tastings by appointment Monday through Friday. 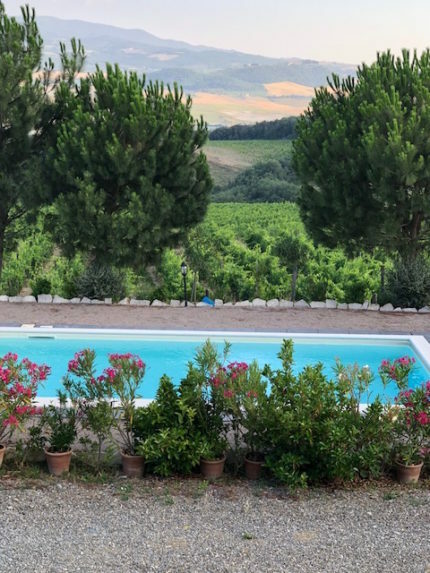 They have a three-bedroom villa on property and a private guest house about 15 minutes away from the winery that has a private pool. I highly recommend either option for the perfect Tuscan hideaway.